Customer Service: 1-800-WALGREENS (1-800-925-4733) or email here! Does Walgreens have a current coupon policy? YES! 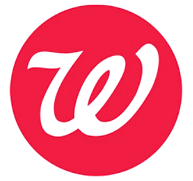 Read or print the Walgreens Coupon Policy here! What is a Register Reward (RR)? Register Reward (RR) are special receipt coupons earned by a customer for purchasing a certain item during that promotional period. You’ll notice a Register Reward sale on many items in the Walgreens weekly circular. Register Rewards are used like cash to purchase nearly anything at Walgreens. Register Rewards can be used at ANY TIME, even right after receiving it and stacked with all coupons. Can I use a Register Reward (RR) on a Register Reward deal to earn more Register Rewards? YES, but you cannot use a RR on the same RR deal. You MUST use your RR on a different RR deal in order to earn more Register Rewards. Certain limits apply. Does Walgreens accept internet printable coupons? Does Walgreens accept FREE product coupons or Buy 1 Get 1 FREE Coupons? Does Walgreens allow you to stack their stores coupons with manufacturer coupon for the same one item? YES. You may use ONE Manufacturer coupon, ONE Manufacturer Store coupon (found in their weekly ad) & ONE Instant Value coupon (found in their monthly coupon booklets). Does Walgreens offer rain checks on out-of-stock items? YES. And these rain checks do NOT expire. Though, NO rain checks are allowed on Register Regard (RR) sale items.